When I first started using essential oils many years ago, my primary reason was to get a better sleep and relieve stress in a more natural way. My job at the time was crazy stressful and, while I’m grateful to have moved on to a new career (check out the blog post here), I’ve adopted using essential oils for my overall wellness and, in particular, my mental wellness. I definitely have my go-to oils, but as I’ve been doing more digging and finding what works best for me, I’m discovering a lot of new ideas and oils I’d never considered before. Once again, I’ve teamed up with Heather Gibson, a clinical aromatherapist based out of Salt Lake City. Heather specializes in mental health wellness, and of the oils she recommends to her clients, most support mood, mind, and sleep. As the mother of seven kids (yes, I said seven! ), she uses those exact same oils for her self-care as she faces the daily rigours of working and parenting. Lavender is one of the most well-known and researched essential oils, and one of my personal favourites. I bet most people can list several things they have heard lavender is good for. While lavender has more uses than I can count, I love to use it for supporting sleep. Between three jobs, my mind is often racing with all the events of the day before and the next one ahead, so I have a hard time winding down to sleep. 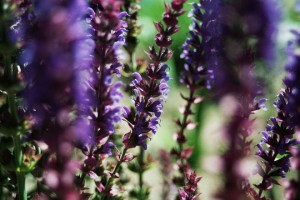 A drop or two of lavender on my pillow really calms my thoughts and relaxes my mind. Some people prefer to put a drop or two on their hands and inhale, and some put it over their heart or down the back of their neck. If you try lavender, a little bit of experimenting will be necessary to figure out what works best for you. Lavender isn’t for everyone, so instead consider trying Vetiver or Cedarwood. This is a relatively unknown citrus fruit. I didn’t know about it until I got more deeply involved with essential oils. To me it smells somewhere in between a grapefruit and an orange and it has a slightly different chemical makeup from the other citruses that sets it apart. Bergamot is my favorite for uplifting moods. If you struggle with racing thoughts and feelings of uneasiness or anxiety, bergamot can quickly become one of the best tools in your arsenal. Diffuse it or puts it on your wrists. It’s also very powerful on those typical gloomy and overcast days we get here in Vancouver. It’s a sweet-tart power punch ray of sunshine to the day! 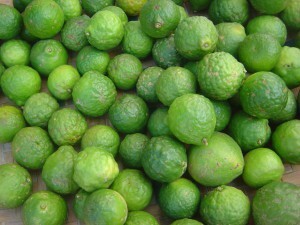 If bergamot isn’t the right fit for you, try any of the citrus oils for their fresh and uplifting effect. Orange is another of my favorites, especially when mixed with the next oil on my list, Frankincense. Known as the King of Oils by some, frankincense is highly prized for its abilities to support the body on the whole. Ancient Egyptians used frankincense resin for everything from perfume to skincare. It’s a wonderful tonic for the whole body. 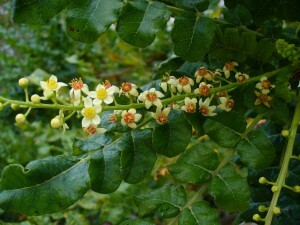 Frankincense has a musky smell and blends well with other essential oils – especially citrus oils. I find that the rich smell of Frankincense helps to stabilize and enrich the other oils. With any essential oil, inhalation is the fastest way to uplift your mood. Putting one or two drops in your hands, rubbing them together, and inhaling can take you from feeling zero to hero in seconds. Diffusers or nebulizers are also fantastic – I have two in my home – and they help put essential oils directly in the air to help support anyone in the diffuser’s vicinity. If you live with someone that needs a little mood support, this can be a great way to lighten the overall feeling of your home. Yes, essential oils can be hugely beneficial, but the benefits are only one piece of the equation. The most important thing you must know about essential oils is this: not all essential oils are created equal. In fact, most of them are worthless to your health and are often synthetic or adulterated (lots of random stuff mixed in to extend the oil). Therefore, when buying essential oils, it’s vital to ensure they are certified pure therapeutic grade.